It's not just about having lots of content, it's about having the right content. And we have both. A variety of content libraries. Thousands of award-winning courses. An unmatched level of both content breadth and depth. Industry-leading topics and accredited content for nursing, medicine, pharmacy and more than 20 other healthcare professions. Because of our incomparable commitment to interprofessional education, clinicians of different disciplines learn the same concepts, in the same way, to support team care environments. Our courses go beyond clinical skills to build leadership, coaching, communication, cultural competency, professional ethics and other vital skills. With our certification review library, your healthcare professionals gain clinical knowledge to take exams with confidence – and your organization increases certification rates. The top hospitals and healthcare systems and millions of healthcare professionals can’t be wrong. 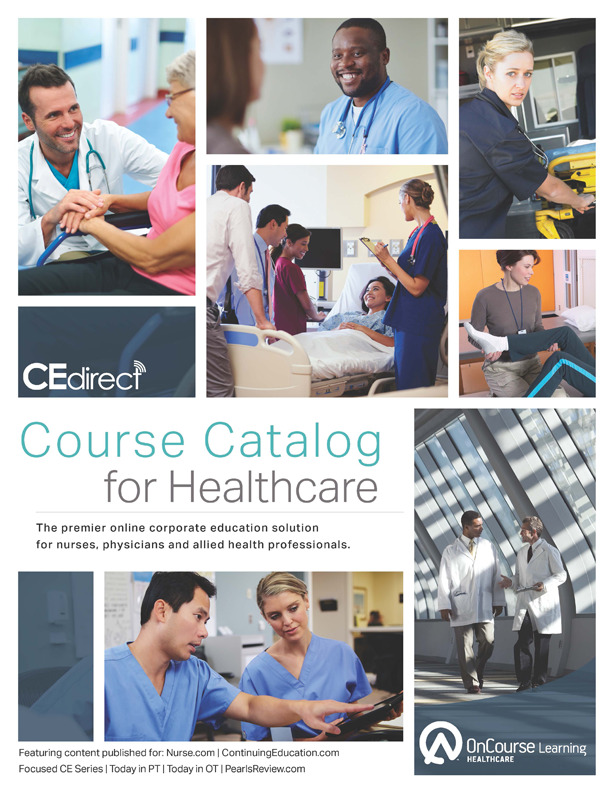 For more than 30 years, they have trusted CE Direct by OnCourse Learning as the leader in healthcare continuing education. Our unrivaled content supports your efforts to earn and maintain quality designations, such as Magnet® Recognition from the American Nurses Credentialing Center. Leverage OnCourse Learning’s expansive catalog for the education your organization needs to meet regulatory standards. And, our system makes it easy to track and report progress. Healthcare professionals need more than just clinical skills. With courses on leadership, communication and more, OnCourse Learning helps your team stay focused on your highest priority, patient care.